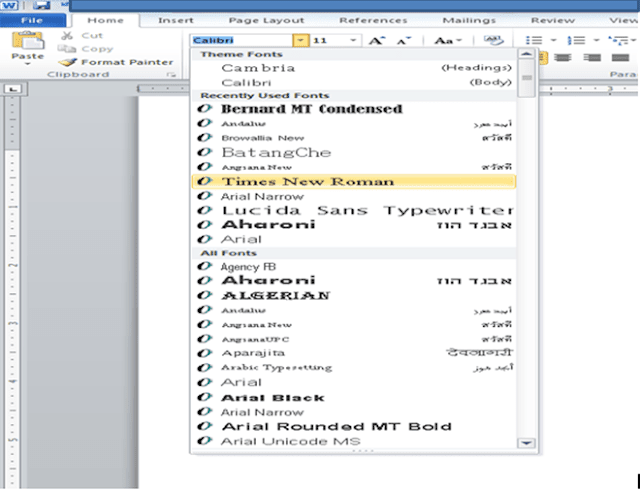 Using Microsoft Word 2010, you can apply styles of your text or font using the basic formatting tools of this one of the new version of the Microsoft office application. This tool is located above and one of the ribbon menu buttons on the main menu called home under the ribbon group called called "FONT". These are the font style, font size, grow font, shrink font or the increase and decrease font, change case, bold, italics, underline, strikethrough, subscript, superscript, text effects, text highlight color, and font color. And if you want to go back in default style, you can use and click the clear formatting button. 1. FONT STYLE- You can use this to change the font face of the text, paragraph, numbers, punctuation and symbols. You can use (Ctrl+shift+F) in your keyboard. 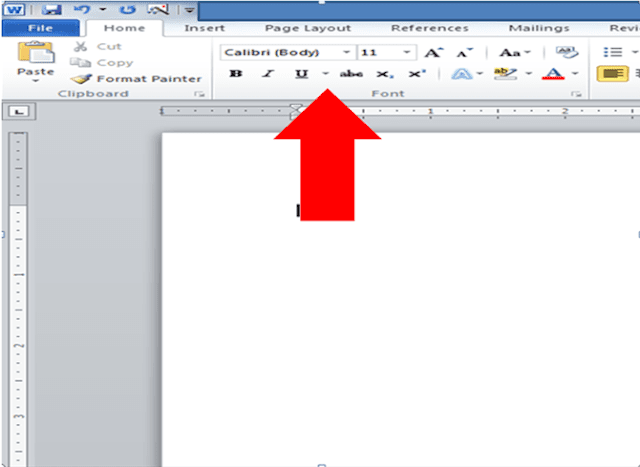 All you need is to highlight the font or text, either using your CTRL + A on your keyboard or use your mouse and click the down arrow bar where the font style is located, example: times new roman. Like the image above here in this post. 2. 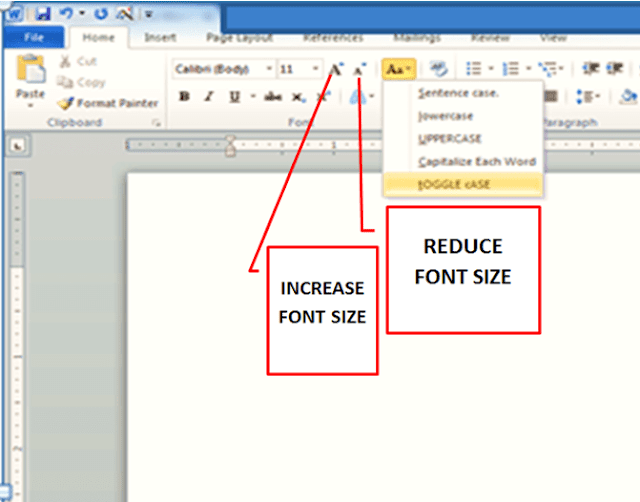 FONT SIZE- this is used to change the font size (ctrl+shift+P), and right side of it you can use to grow font (ctrl+>) and shrink the font (ctrl+<) in your keyboard. 3. GROW FONT AND SHRINK FONT- use to increase and decrease font size. All you need is to highlight the font or text, numbers, or a paragraph and click the arrow down to select the specific size of the font or a character inside of the document template. Or you can use the grow font and shrink font to decrease and increase the size of a text, paragraph, or numbers. 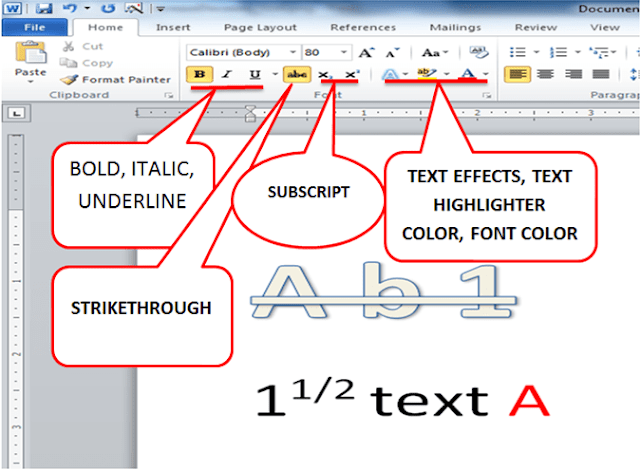 First highlight the text or font, paragraph, or numbers. Then Bold is to make the selected text bold. Italics are used to italicize the selected text. And underline is the use to underlined the selected text, strikethrough is used to put a line in the middle of your text, subscript is used to create a small letters below the text baseline or you want to type one and one haft of a number. The superscript is used to create a small letter above the line of text or same as one and one haft of a number. Text effects are used to apply a visual effect to the selected text such as shadow glow or reflection. Text highlighter is to make text look like it was marked with a highlighter pen. 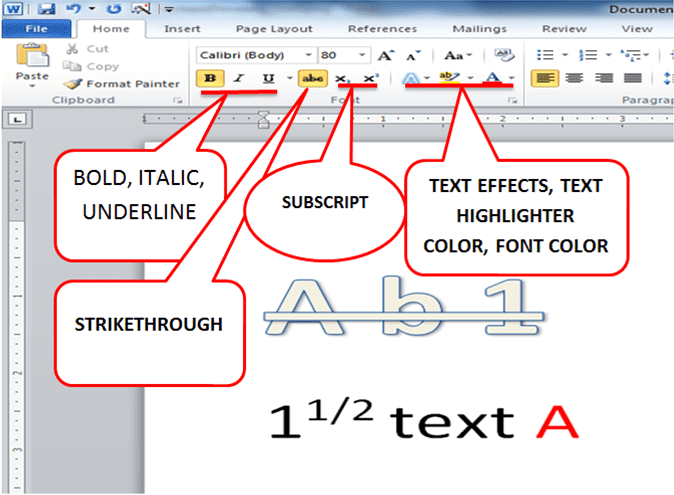 And font color is used to change the color or a text or font, numbers or all the text of a paragraph. Basic skills in the application of the word processing is required by this application and writing skills. 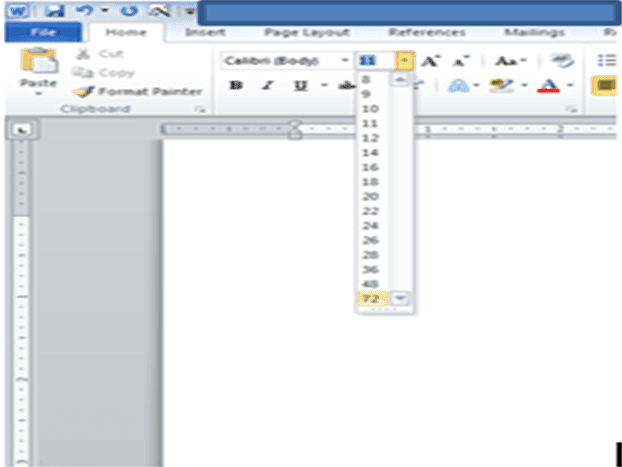 And before you apply this formatting tool type all the paragraphs of your document and be sure that you setup first the margin or the page Setup. Check the other references for your help.